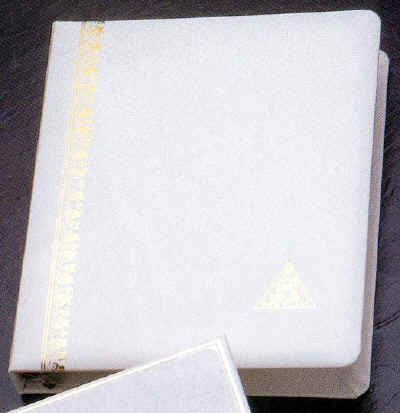 9" X 11" Cover is white simulated leather, looseleaf for easy insertion of extra photos. Comes with 8 pages. Extra pages available. Specify any emblem you wish when ordering. A clear protective jacket is available. Name may be embossed under the emblem for $5.00 per line. Also available in other colors. Refill pages available.